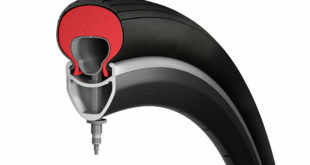 The global cycling market will grow to $44.4 billion from 2018 to 2022, according to figures revealed by Research and Markets. 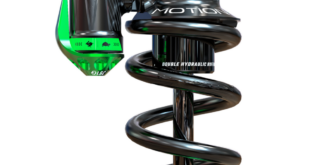 The rise will be largely driven by the rise of e-bikes, integration of mechatronics and IoT, and increased diversification. 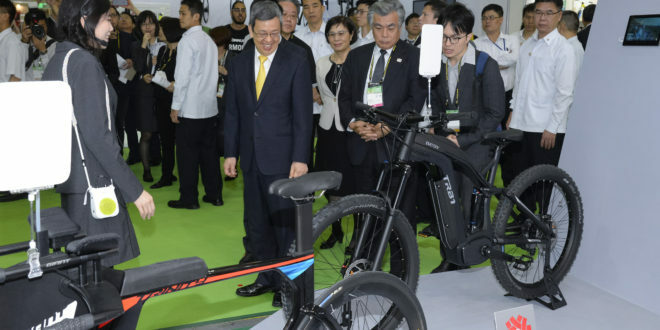 The predictions were revealed at the Taipei Cycle Show, which had 37,000 visitors including Dr Chen Chien-jen, Vice President of the Republic of China (Taiwan). International brands in attendance included CatEye, Continental, FSA/Vision, Giant, Merida, KMC, KTM Bike Industries, Thule Group and Topeak. 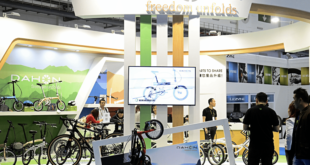 Also revealed at the show was the export boom in Taiwan’s cycling industry, with exports of complete bikes reaching 1.65 million units, valued at $1.09 billion from January to September. This was a rise of 14.2 per cent compared with the same period in 2017, according to a report released by the Customs Administration, Ministry of Finance. Chien-jen said: “Taiwan plays an active role in cycling’s global supply chain. E-bike exports grew by 47.93 per cent from January to September, and also grew in value by 51.84 per cent. The total export of 195,000 units was valued at $269 million, according to a report by the Taiwanese Customs Administration, Ministry of Finance. James C.F. Huang, chairman of the Taiwan External Trade Development Council (TAITRA), who organised the event, said: “The Taipei Cycle Show is the second largest in the world. “Taiwan has the most complete research and design clusters and supply chain producing a lot of high-end products for different markets, especially in developed countries where it holds top three market share. “In addition, we are developing world-class biking trails, from the east coast across to the mountains of central Taiwan, in the ‘Kingdom of Cycling’. Jasmine Wu, Taipei Cycle Show PR manager, said: “We enjoyed a fantastic five days of cycling innovation, design, technology and insight at this year’s show, which celebrated our 30th anniversary.